Banking and managing money keeps getting easier and easier. Using your smartphone, you'll always find a few personal finance apps. They are an essential component for managing modern life. Personal finance apps help us make for ourselves paying or sending money, making transactions and keeping track of our funds a lot easier and effortless. All you need is to choose the right app for your personal finances. We discovered one great finance app for you – IME Pay. 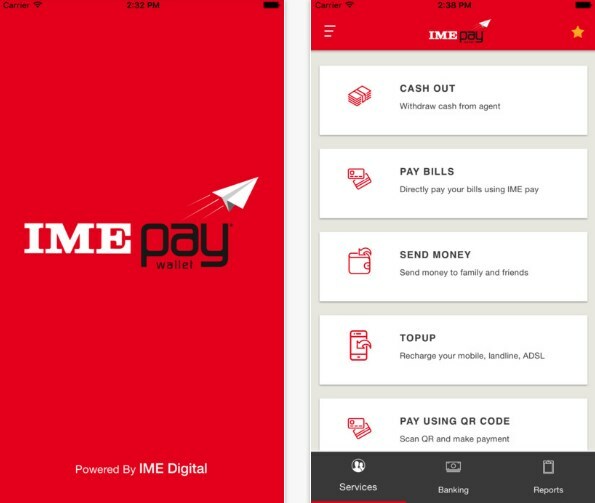 IME pay is a finance tool for managing personal finances, developed for both IOS and android users, offered by IME Digital Solution Ltd. With this app, the users can make quick and easy payments and transactions without any special effort. The app allows the users to make simple person to person transactions, to recharge their mobile balance, pay utility bills, pay in online or physical stores. Most importantly the app allows loading or withdrawing cash from any IME agent location across Nepal or vie their linked bank account. A simple way to make fast and easy payments or transactions. The app offers many features as withdrawing cash from any IME agent location, linking IME with existing bank account and loading funds to the bank or from the bank. IME gives the users availability to pay their utility bills, recharge their mobile balance, and make payments to various merchant. Every user can send money through the app to other people without them be required to use the app. The app allows scanning QR in merchant for fast payments in stores. Highly powered and secured the app requires pin for every transaction and verification code for every login. Also, the app sends a free SMS for every transaction made by the user.